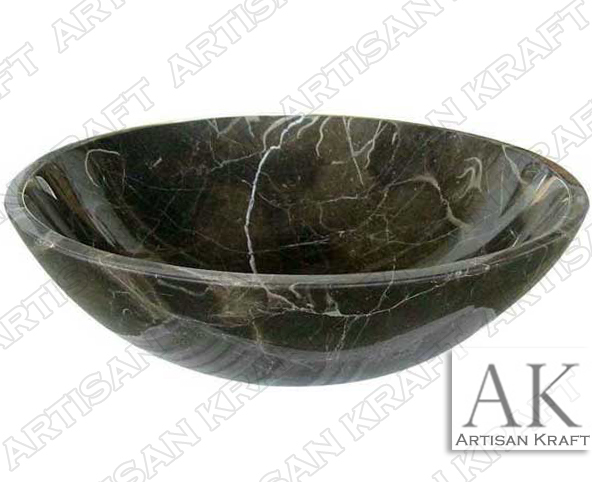 The modern bowl shape sink is carved from Dark Emperador marble . The simple bowl will give the bathroom sink a specific look and feel. The smooth polished black marble gives a refined look. It is a vanity style sink but it can be installed as an under mounted sink. This is pictured in a Dark Emperador marble. This beautiful material has brown and black hues. Another dark colored stone is our black forest marble.